The Airedale Terrier, which is the largest of the terrier dog breeds, was bred in Yorkshire, England, and was used to otters. 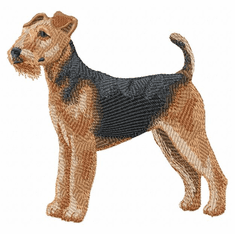 It is also called the Waterside Terrier, Black and Tan Rough Coated Terrier, Bingley Terrier, or the King of Terriers. 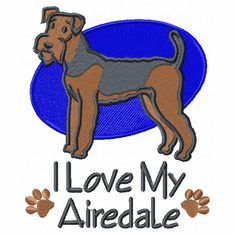 Excelling at hunting and field work, Airedales are also great at performance sports, search and rescue, and in the show ring. 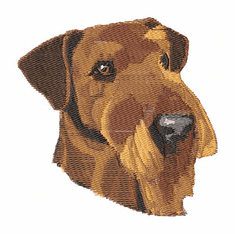 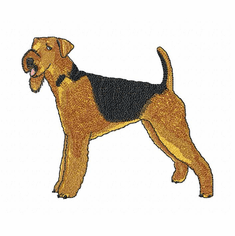 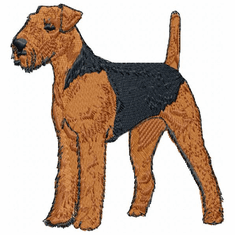 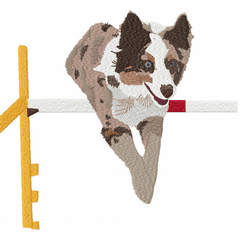 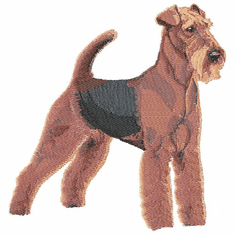 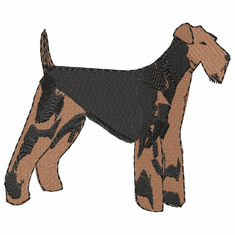 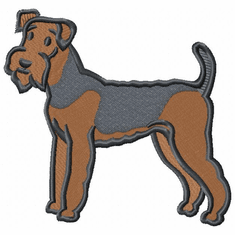 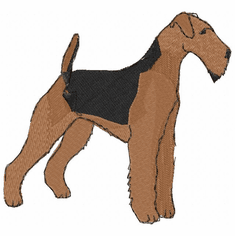 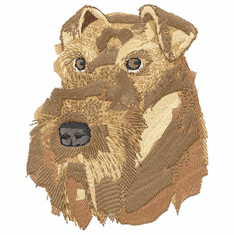 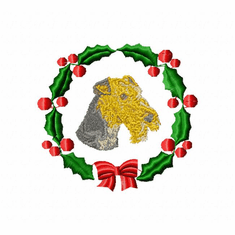 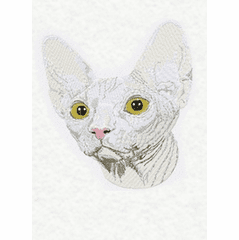 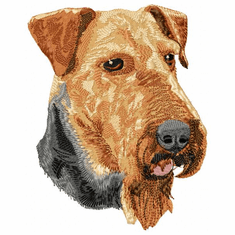 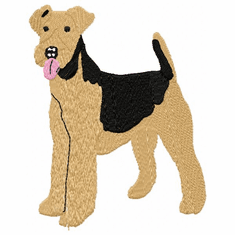 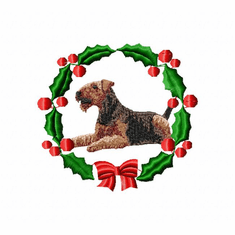 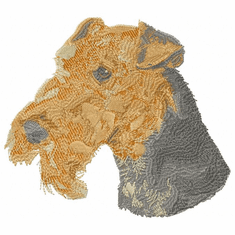 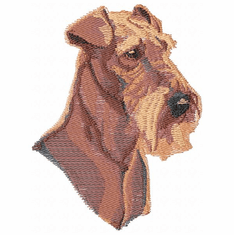 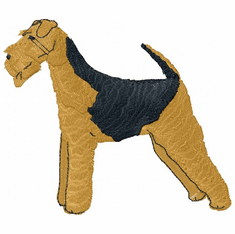 These great embroidery designs of Airedale Terriers are available on polo shirts, sweatshirts, henleys, denim shirts, jackets, vests, caps, aprons, and even Christmas stockings.